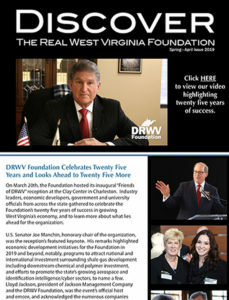 It is truly a privilege to be named Honorary Chair of the Discover the Real West Virginia (DRWV) Foundation and to be a part of such an important organization that promotes economic prosperity and growth across our great state. I thank my dear friend, Senator Rockefeller, for launching this wonderful non-profit, which has created so many critical business opportunities and jobs throughout the past two decades. I look forward to continuing to show our country and the world that West Virginia is a great place to do business and has some of the most hardworking men and women this country has ever known. As both a Governor and Senator, I have participated in numerous Foundation programs over the years. 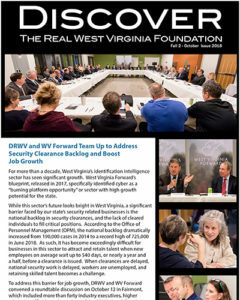 This includes the DRWV Foundation’s trade mission to Japan in 2005 as well as industry specific events highlighting the identification intelligence community. As a result, I can attest to the important role this organization plays in the state’s economic development efforts. As a businessman, I am delighted that the DRWV Foundation remains laser-focused on job creation; providing small businesses with the tools that they need to succeed and tackling the challenges that impact our state’s economy. I’m excited to work with this organization moving forward to showcase the enormous opportunities in the energy sector and other sectors that hold strategic advantage for West Virginia. 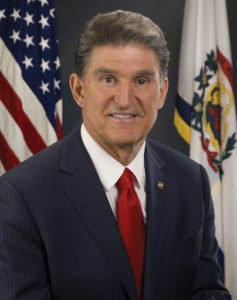 When we all work together to invest in this great state, all West Virginians benefit. With your help, and your investment in this organization and its mission, we will continue to build a more diversified and stronger West Virginia.